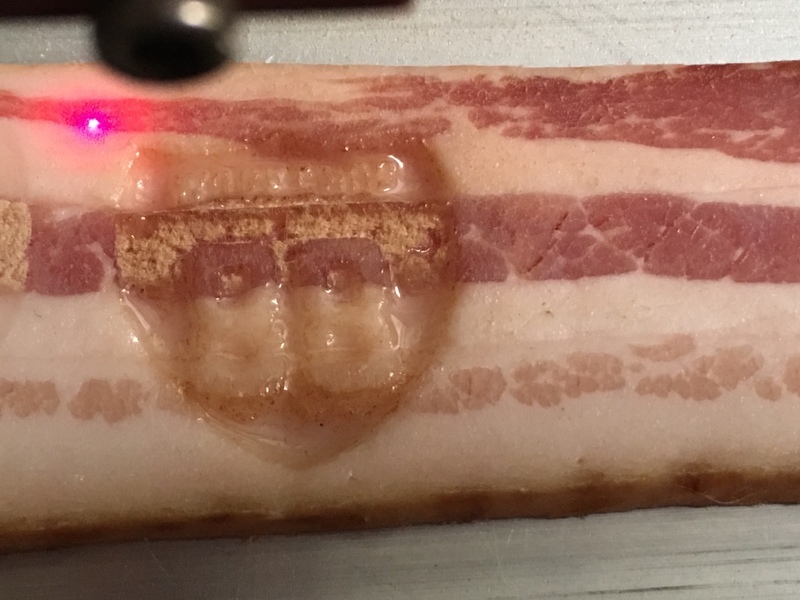 New member and newly certified laser user Scott burned his bacon on the laser cutter tonight. Nice rasher graphic, Scott! In showing this picture around, I discovered that the whole “Just because we can!” ethos doesn’t resonate equally with all members of my household.